Those who come hither are generally of the most ignorant Stupid Sort of their own Nation… and as few of the English understand the German Language, and so cannot address them either from the Press or Pulpit, ’tis almost impossible to remove any prejudices they once entertain…Not being used to Liberty, they know not how to make a modest use of it… I remember when they modestly declined intermeddling in our Elections, but now they come in droves, and carry all before them, except in one or two Counties… In short unless the stream of their importation could be turned from this to other colonies, as you very judiciously propose, they will soon so out number us, that all the advantages we have will not in My Opinion be able to preserve our language, and even our Government will become precarious. The same xenophobia is expressed against immigrants today, 260 years later, alleging inability or unwillingness to learn the language, cultural incompatibility, different values, huge masses of people changing the face of the nation. How did it turn out for the USA? Not too bad, I would say, despite or even because of the millions of German immigrants. This entry was posted in Germany, History, Immigration Law, Language, Politics, USA and tagged Benjamin Franklin, immigration, refugees. Bookmark the permalink. I’m not against immigration but there might be some truth in those statements about the willingness to learn the language and keep their own culture. German ancestry is the largest ancestry group in the US. When I was researching my own German heritage, I was surprised to learn about the German Triangle. This was the area between Milwaukee, St. Louis and Cincinnati where most German immigrants settled. In this area, prior to WWI, it was quite common for people to speak and live their lives in German. Everything from church services to schools to newspapers to local businesses were in German. Things changed at the start of WWI. There was such anti-German sentiment during this time that speaking German was seen as unpatriotic. Some went as far as to blame German-Americans for the war. As a result, many German families anglicized their names. Some states and cities banned German from being spoken or taught. Other states went as far as forbidding teaching foreign languages in general. Had it not been for WWI, I might be typing this in German right now (which would be great considering that I’m struggling to learn it :) ) But even today, we can still see the results of German immigration. Things that are thought of now as fundamentally American like kindergarten, Santa Claus, the Easter Bunny, the Christmas Tree and even sauerkraut, among many others, is a result of 19th century German immigration. I will soon start a project to search for my own relatives which moved from Germany to the US in 1922 and 1923. Sounds like a great project, good luck in the search. Do you know the general area that your relatives relocated to in the US? Although it’s a pay site, Ancestry.com has lots and lots of great research information. I found that the US census has been one of the best sources of information. Personally, I lost the trail once I got into Germany. It seems like there aren’t many surviving records in Germany prior to the war. But I did manage to find records of my great, great grandfather leaving Germany and arriving in NY. I’d love to know if I still have family living in or around Germany. But I think that I may never know. They went to Altoona, PA, it seems. Do you know the village/town in Germany that your ancestor came from? I do, I found his US naturalization records a few years ago. On it he said he was born in Sapelloh and had also lived in or around Hanover. The records on the $100 man seem to be mixed. 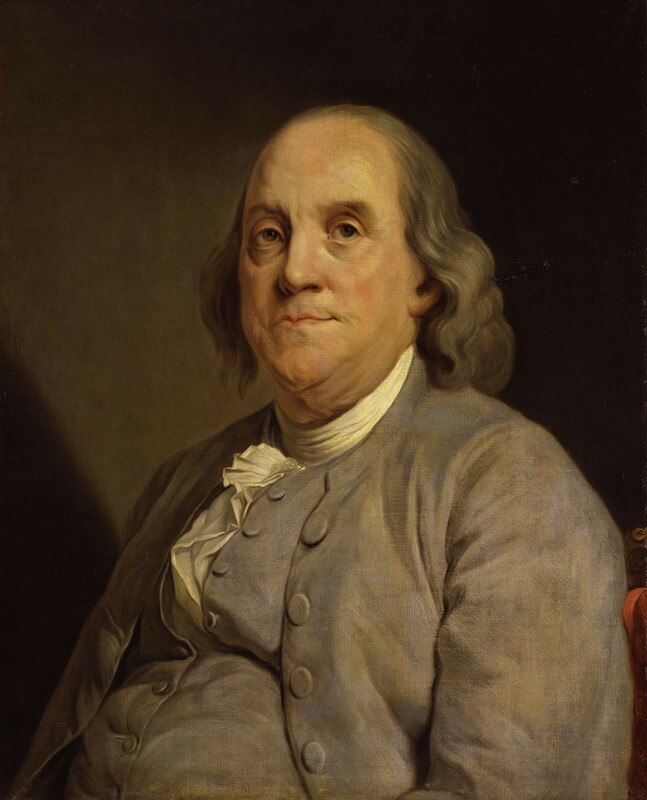 Ben Franklin said that America cultivates best what Germany brought forth and he founded the first German newspaper in the U.S., the Philadelphische Zeitung. Probably grew xenophobic with age….